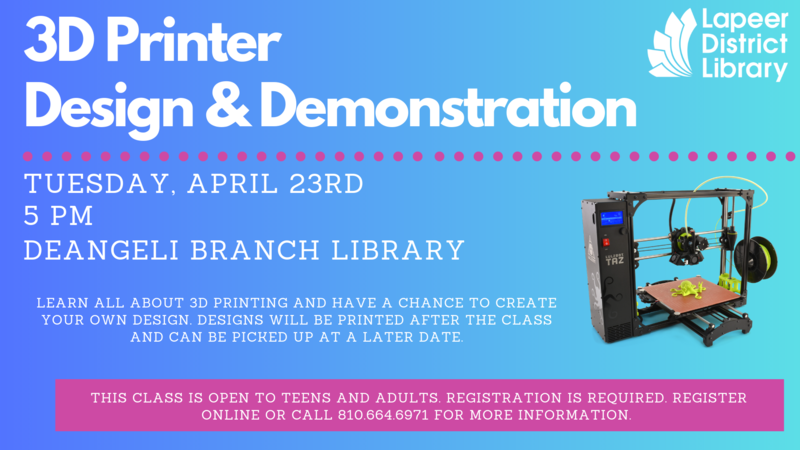 Learn all about how 3D printing works and have a chance to design your own creation! This call is free and all materials will be provided, but registration is required. Please register online or call 810-664-6971 to register.